In 1959 Michel Giacometti moved to Portugal and dedicated the following thirty years of his life recording traditional music all over the country. In the present decade Portuguese music has been thriving and finally travelling abroad, long gone are the days those hidden gems were kept in secret in this distant corner of Europe. The discovery of current Portuguese music sparked an interest to Portuguese music, past and present. 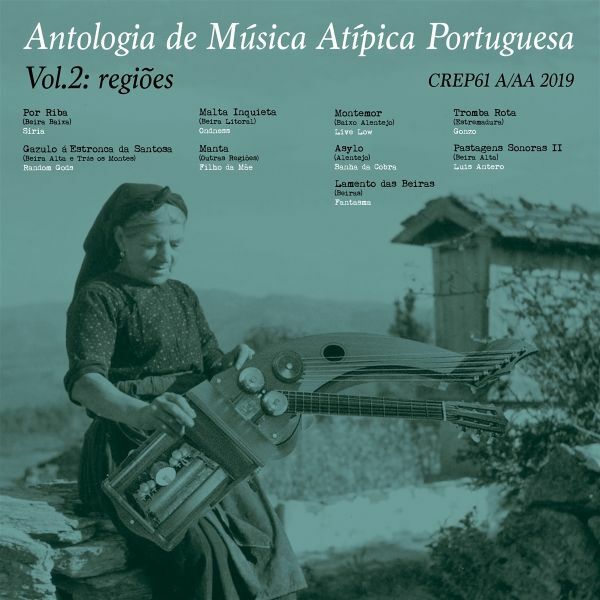 With both of those ideas in mind, Giacometti and the interest in Portuguese music, "Antologia de Musica Atipica Portuguesa" creates an anthology of current sounds to the future. You can see it as history being made or a broad catalog of sounds that live and breathe the experimental and electronic that is happening in Portugal. The first step happened two years ago with the releasing of the first volume on this anthology, "O Trabalho" ("The Labour") and we now move onto Vol. 2, "Regioes" ("Regions"), with each track connecting with a different province from Portugal.